Following on from the earlier image. 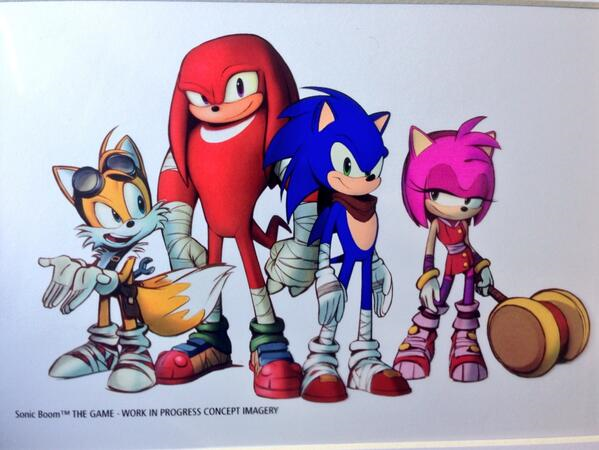 We now have an image showing Sonic, Tails, Knuckles and Amy. In addition to the looks, there is the confirmation of a game based on the cartoon show if that text along the bottom is anything to go by. As mentioned earlier, we’ll keep you upto date with more news as we get it. 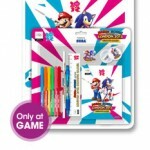 The GAME Group of retailers are now listing a pre-order bonus for the upcoming Nintendo 3DS version of Mario & Sonic at the London 2012 Olympic Games. 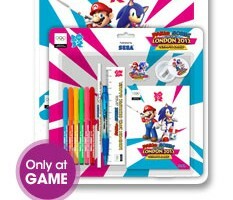 Pre-order the game in store (£5 deposit required) or online at either GAME, Gamestation or Gameplay (online only) and you will receive a free stationery kit themed on the game. 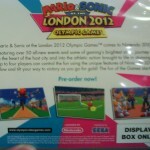 Mario & Sonic at the London 2012 Olympic Games will be available in Europe February 10th 2012. You can pre-order at the links below. UK video game retailer GAME has some new promotional display cases in their stores for various upcoming Nintendo 3DS titles, and one of them is the Nintendo 3DS version of Mario & Sonic at the London 2012 Olympic Games. 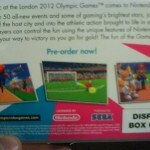 On the back of the case are three new screenshots showing the Cycling event, the Football/Soccer event and what appears to be a cutscene from the game’s Story Mode featuring Sonic, Tails, Charmy, Mario and Luigi. You can view some photos of the images in our gallery below. 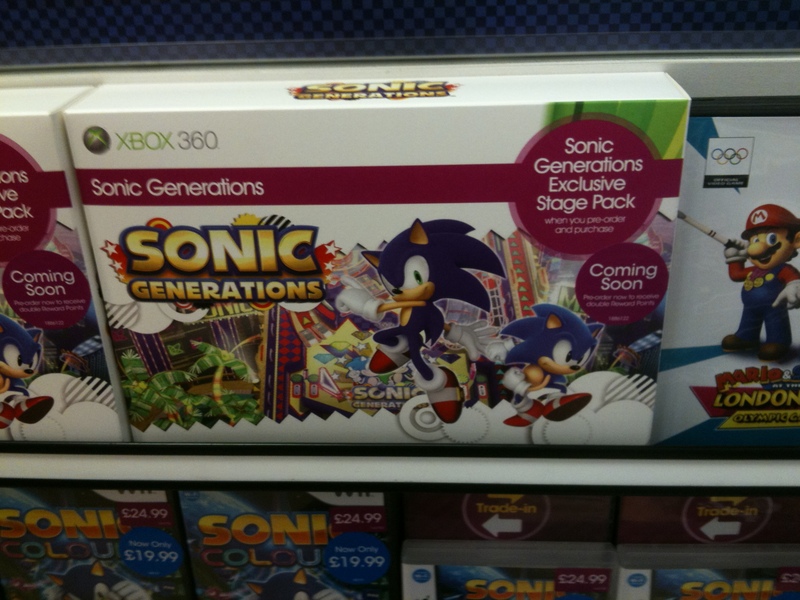 UK Sonic fans interested in the Sonic Generations Collector’s Edition may wonder why this set of items hasn’t been made available with retailers in the GAME Group (GAME, GameStation and Gameplay) who usually always stock these kinds of things across a variety of game genres. 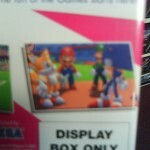 Well, The Sonic Stadium can reveal that the problem is the Collector’s Edition’s £99.99 RRP. A GameStation staff member spoke to this reporter in a local store this afternoon and stated that, like myself, he was puzzled as to why they weren’t stocking this edition of the game. He then told me he had previously contacted head office to enquire about this and was informed that the GAME Group isn’t stocking the Collector’s Edition because they were “put off” by its £99.99 RRP (Recommended Retail Price). We then talked about the rival retailers who have stocked it, such as Amazon and ShopTo. 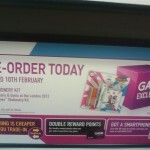 I told the GameStation staff member how even the more obscure of online retailers like 365games.co.uk and PropelGamer.co.uk have sold out of pre-orders for it (the latter at an inflated £149.99), to which he disappointedly replied “I guess we missed a trick there.” Indeed. 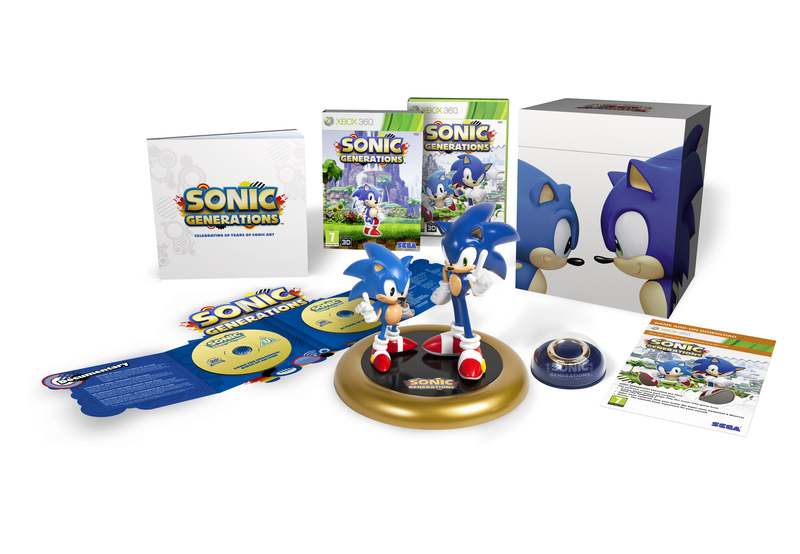 UK and French Sonic fans now each have another opportunity to nab a pre-order for the Sonic Generations Collector’s Edition before it’s released November 4th. In the UK, Propel Gamer is now listing it for both Xbox 360 and PS3 at £149.99, and in France, popular video game retailer GAME is now listing it for both Xbox 360 and PS3 for €106.99. Unfortunately for those outside of the UK and France, these two retailers only ship within their respective countries, but don’t fret, our list of worldwide retailers stocking the Collector’s Edition might be able to help you. You can get your pre-orders in at the links below. Thanks to Propel Gamer for getting in touch with us via Twitter! 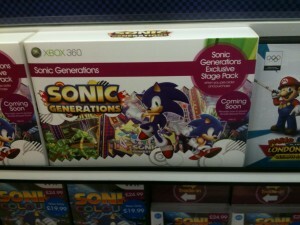 Sonic Generations PC Still On The Way? 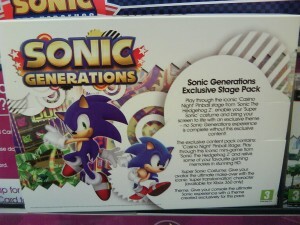 Though still not officially confirmed by SEGA, it appears a PC version of Sonic Generations may still be on the way. GAME and their retail partners GameStation and Gameplay are all now listing a PC version for pre-order, which is down for a November 4th release with the PS3 and Xbox 360 versions. GAME had listed it before, but later removed it, and Gameplay had previously listed it for an October release, but have updated it today to a November 4th release. Until July, there was plenty of evidence suggesting a PC version of Sonic Generations is in the works, but we’ve seen or heard nothing since, and SEGA has still not officially announced the game for that format. With the game’s release just two months away, we should hopefully receive official word soon… if the PC version does exist, of course. GAME UK has today announced the titles SEGA will be bringing to their GAMEFest event in Birmingham UK next month, and Sonic fans will be happy to hear that Sonic Generations and Mario & Sonic at the London 2012 Olympic Games will both be available to try out. No information about platforms has been given. Other SEGA titles available to demo include House of the Dead: OVERKILL Extended Cut and Rise of Nightmares. GAMFest will be held 16-18 September 2011 at the Birmingham NEC. If you’re interested in attending, you can purchase tickets from the GAMEFest website. 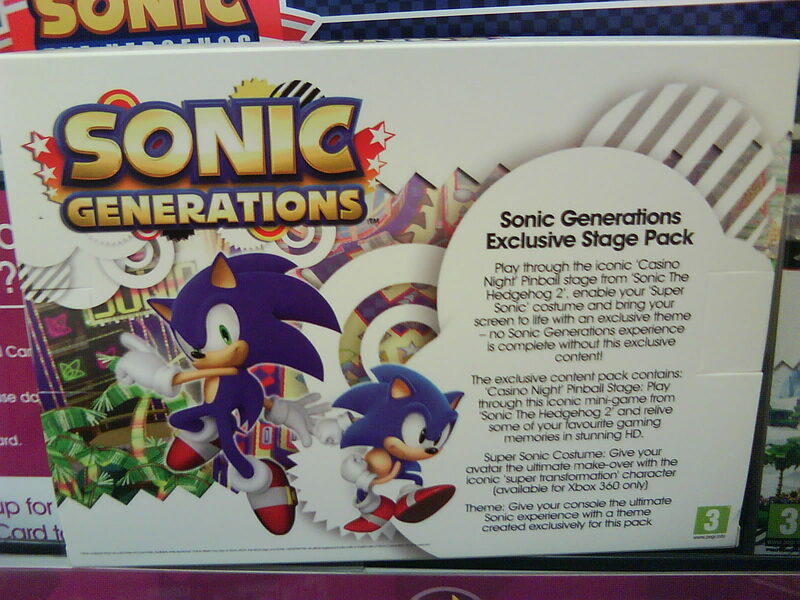 We have more details about GAME UK’s Sonic Generations DLC pre-order bonus in the above photo I snapped today of the reverse-side of their instore advertisement that we reported about on Friday, courtesy of Emerald Coast. We can confirm that it is definitely the same DLC pack GameStop is offering in the US and that the Super Sonic avatar costume is Xbox 360 exclusive (sorry, PS3 Home users). GAME is still yet to offer the bonus on their website, but we expect they will sooner or later. Video game retailer GAME will be returning to Madrid in Spain to hold their GAMEfest event and will also be hosting it in the UK for the first time in Birmingham’s NEC this year. SEGA is on the list of exhibitor’s for both events, so could we be seeing demos of Sonic Generations and Mario & Sonic at the London 2012 Olympic Games? That is unclear right now. Sonic Paradise has confirmed they will be attending GAMEfest 2011 in Spain and you may recall that a SEGA rep at last year’s event slipped out the first details of what we now know as Sonic Generations. I will be attending the UK GAMEfest 2011 on September 18th and I’ll be sure to bring you coverage here at The Sonic Stadium of any Sonic titles that may be there. GAMEfest is a public event where you can play upcoming video games before they’re released. If you’re interested in attending, tickets are on sale now, for the UK event at least. Tickets are priced at £10 for adults and £5 for children. A GAME Reward Card is required to purchase tickets. The UK event will take place between September 16th and 18th at Birmingham’s NEC, while the Spain event will take place between September 29 and October 2 in Madrid. The list of publishers attending the events so far are below. For those of you who may not have noticed, this weekend saw the release of the first teaser trailer from Sonic 2 HD! It has been in the works in one form or another as far back as 2007, and like a lot of fan projects we do wonder whether it will ever truly be finished, but you can’t deny how good this trailer looks! Interested (you should be), then check out their developer blog, their official site, or join their facebook page! It appears that while Takashi Iizuka was publicly doing his interview rounds with the media over a week ago, UK retailer GAME also got to have a chat with him and quietly published their interview over on their Sonic Colours product page. GAME managed to glean some interesting information, such as the Sonic games being split into two worlds; the human world and the non-human world (of which Sonic Colours falls into the latter). 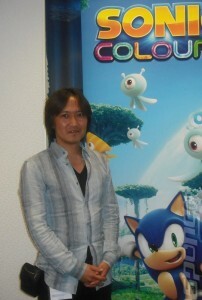 Iizuka was queried about why Sonic Colours is exclusive to Wii & DS, to which he explained that the team wanted to concentrate on those platforms and use their strengths to make the game the best it can be on both. Addressed also in this interview are controls. Iizuka told us that the game is being aimed at the six to twelve age group to ensure that anyone can pick up the controls and have fun with the game. In response to that age group target, GAME wondered whether SEGA will be alienating their older fans but Iizuka doesn’t think so, as Sonic 4 is on the way to appease fans who grew up with the franchise. Iizuka thinks that 3D Sonic game fans who found previous 3D titles to be on the difficult side will also enjoy Sonic Colours, due to its easier control scheme making it more user friendly. And what’s next for Sonic? [Grins] We’ve already announced Sonic Free Riders for Kinect, but if you look at 2011 that’s the 20th Anniversary of Sonic, so you might just be seeing something special for that. You can check out the interview at GAME’s Sonic Colours Wii and DS pages. UPDATE: ArchangelUK has informed via Sonic Wrecks and the Sonic city Blognik that bol.com/nl/ (Benelaux) and JB Hi-Fi(Australia) are getting the Ryo-Forklift pre-order DLC code though JB Hi-Fi arent listing it yet. If you’re in Spain and missed our earlier report, GAME are also offering the code – PS3 & Xbox 360. 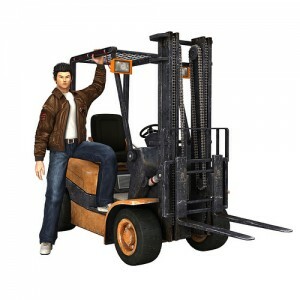 You may remember when we informed you that Gameplay.co.uk will be offering the Ryo-Forklift DLC pre-order bonus, well now you have another retailer choice as GAME UK have updated the product pages for the Xbox 360 and PS3 versions of Sonic & SEGA All Star Racing with a notice about the pre-order bonus code Ryu spelling error and all. Wether GAME will be offering the pre-order DLC code in-store is unknown at present but we’ll try to find out as soon as possible and let you know. [UPDATE]ASR: Ryo A DLC Only Character? The above advertising banner for Sonic & SEGA All Stars Racing has popped up at video game retailer GAME’s Spanish website. The banner translates to say that Ryo Hazuki is a downloadable character pre-order bonus but there is concern that he may only be downloadable on the Xbox 360 version due to the banner only appearing on the Xbox 360 section of the site. The official site of the game also mentioned Xbox 360 exclusive downloadable content when it first launched before the information was pulled. This is very odd as the trailer that revealed Ryo and every trailer since were multiple format trailers and not once since he was revealed has he been said to be a downloadable character only. If Ryo does turn out to be download only and only downloadable on the Xbox 360 version, many fans will be outraged especially since this is the first game Ryo has been playable in since Shenmue 1 and 2 years ago. We’ll keep tabs on this situation and let you know more when we get some information. 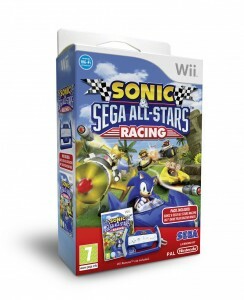 UK retailers are listing 2 edition’s of the Wii version of Sonic & SEGA All Stars Racing, the Wii Wheel bundle and a solo version without the wheel. It appears the Wheel won’t be a freebie as the Wii Wheel bundle is listed at GAME for example at £34.99 and the solo version at £29.99 making the bundle £5 dearer. 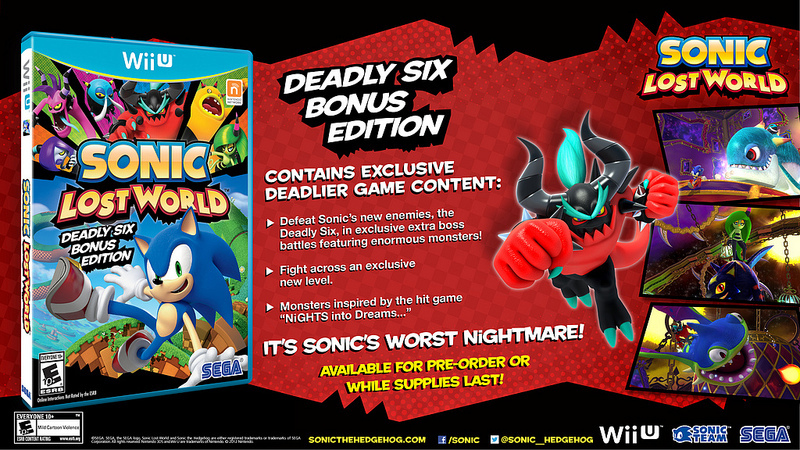 The bundle packaging doesn’t say it’s free and I don’t believe SEGA ever said it would be free so no-one can complain. 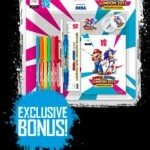 Gamestation are listing both the Wii Wheel bundle and the solo edition at £29.99. UPDATE 2: My copies of both versions have arrived from HMV via Royal Mail with 2 of the t-shirts and both are size Small. Reports have come in of people getting otehr sizes delivered. It seems HMV are just sending out random sizes. Awful way of doing things but even if you dont get your size they still make good collectors items. UPDATE: TSS has learnt that HMV accept orders outside of the UK and ship via air mail so if you live overseas and fancy HMV’s exclusive t-shirt then get your pre-orders in. Remember though, Wii’s are region locked so PAL copies won’t work on U.S. consoles. The DS is region-free though. HMV delivery info page UPDATE end. 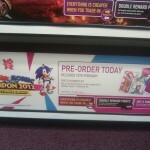 If HMV’s free M&S t-shirt shown above wasn’t enough to encourage you to pre-order Mario & Sonic at the Olympic Winter Games then maybe GAME and Gamestation can tempt you. If you pre-order either version of the game at Gamestation you can take home some Official Charms as seen in the photo I took earlier today shown above. 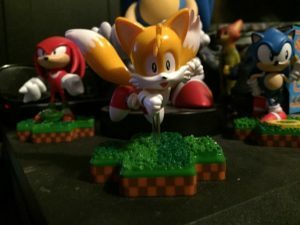 Five charms are included, one with the games logo, one with Sonic’s emblem, one with Amy’s emblem, one with Mario’s emblem and one with Yoshi’s emblem. 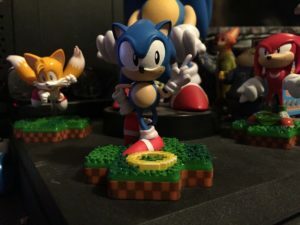 If your looking for something more on the cuddly side GAME are offering a Sonic beanie toy with pre-orders of either version but unfortunately it is the same beanie they’ve already been selling for ages. HMV t-shirt offer available online only. GAME Sonic beanie offer only available in-store. Gamestation charms offer available in-store only. #17 A Sonic MMO? WTH? It’s a reality! Look at the gameplay footage!!! 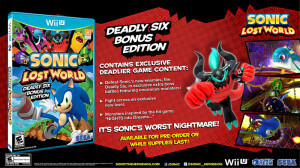 All around the community people have been talking about the concept of a Sonic multiplayer online role playing game. Well did you know one has been online on since november 2008?!? With 400 registered players, and a fairly active server during the evening (in the uk time zone) it would appear they are doing something right. With a world that goes from day to night, quests, pvp, fishing, and capture the flag (wtf?!?!) it would appear it’s something worth looking into. Especially since it’s free to play (what fan game isnt though lol). This video contains a trailer from SAGE 2008 last summer before the game came out and some poorly recorded game footage of me wondering around trying to play while my pc lags at using hypercam XD. 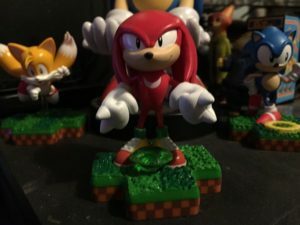 UK video game retailer GAME are listing some new Sonic merchandise items made by the same company behind the recent plushies, Cool Stuff (we still want our Eggman plushie damn it!). It sounds like they are all part of a Sonic Scalextric kind of thing but why release all 3 items seperately? Your guess is as good as mine. No images are available right now, but they are listed to be released Saturday 20th September 2008 so expect images and info to be released soon.